Home renovation is a serious undertaking and may instill fear in homeowners. Renewal by Andersen of Southeastern Mass and Rhode Island lays those fears to rest as easily as we lay your window into its frame. From start to finish, you will receive respect and personal attention while we help you achieve your home improvement goals and dreams. It is quite simple. We begin with a complimentary in-home consultation. 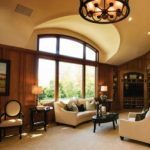 At this consultation you will be coached through our wide selection of replacement windows for Massachusetts and Rhode Island homes. A trained member of our staff will take any and all necessary measurements and begin to put a construction plan together. This plan will involve a project schedule, which our staff will stick to for the duration. The next step in the process involves the design of your new windows and patio doors. With multiple interior and exterior finishes and architectural designs, you can create dynamic or subtle architectural accents for your rooms. From double hung windows for optimum ventilation to specialty windows to catch the light just so, your interior will feel fresh and new every time you pass by. We take great pride in our expert ability to find the right windows for your specific style and structural needs. Our expertly trained staff and Andersen affiliate contractors will then install your new windows. During this stage, our superior, highest quality materials are employed to create the tightest seals possible to eliminate leaking, rotting, mold, or water damage. Our innovative Fibrex™ composite aids in energy efficiency by helping seal in warmth during the winter, saving you money each month on your heating bill. We eliminate construction waste as part of our environmental dedication, which combined with our energy efficiency, earns us the Energy Star Sustained Excellence Award, a distinction that few companies that specialize in replacement windows in MA and RI can claim to have earned. Once the project is finished, coverage on your replacement windows begins and lasts from two (2) up to twenty (20) years depending on the component. Should the unlikely occur and your windows or doors appear faulty, Renewal By Andersen of Southeastern Mass and Rhode Island will immediately resolve the issue. If at any time you change your mind and prefer a different style, we welcome you to return to start all over again. Choose the company that commits itself to customer satisfaction; put your trust and home in the hands of professionals dedicated to excellence and superior craftsmanship. Call or email us or visit a Renewal by Andersen of Southeastern Mass and RI replacement window and patio door showroom to learn what view awaits you. Renewal by Andersen of Southeastern Mass and Rhode Island leads as experts in doors and windows. We are deeply experienced in the local home improvement industry and have a deep dedication to helping our neighbors to live more comfortably and affordably. Call us at 401-473-2739 to set up your free, no obligation in home consultation at no charge to begin your home improvement projects.